Ben Miller, director of global comms at sports and entertainment firm Actyvos Group, discusses agency life in the seaside city. How would you describe the energy in Barcelona? Compared to Hong Kong and London, the other cities I've lived in, Barcelona is far more laid back, and it's a lot of fun. Every plaza I pass by is full of people chatting, drinking, eating, and enjoying life. What draws comms professionals to live and work in the city? With a population of just 1.5 million, Barcelona is not too big, but it has amazing metro, airport, rail, and port. It's a vibrant place to live with an incredible climate, beaches, bars, and restaurants — and it is still cheaper than most other big European cities. While retaining all that makes it unique, Barcelona is a global brand that has the potential to become a reference point for sectors such as sport, fashion, technology, gastronomy, tourism, design, architecture, and more. How demanding are agencies on their reps in Barcelona? I've been here 10 years and have yet to meet anybody who sleeps a siesta. Catalans are hard workers, and some companies expect them to be there from 9 a.m. until 7 p.m., albeit with a two-hour lunch break. However, more flexible working hours are increasingly becoming the norm. A study last year showed Spaniards work longer hours than the Germans. However, when it came to measuring productivity, both countries lived up to their stereotypes. How has agency life changed in the last five years? Digital has continued to change everything we do. Four thousand journalists in Spain lost their jobs in one year; papers are closing down or struggling to transform into digital platforms; magazines are losing their relevance; and TV audiences are totally fragmented. At the same time, social media's strategic importance and measurability has transformed the way leagues, clubs, and athletes communicate with their audiences, ever more instantaneously, directly and globally. What is competition like for those seeking work in Barcelona agencies? There are more than 4 million unemployed people in Spain and among 18- to 25-year-olds it's a grim statistic of 40% without work. Yet I feel comms is a developing sector here. Smart companies have realized strategic comms add bottom-line value and are worth investing in. How has the city changed since your agency started? Certain neighborhoods, such as the Borne, have smartened up and there are more tourists about throughout the year — 8 million in 2015. On the business end, most successful organizations have a strategic focus on developing overseas markets, which means there are more opportunities for non-Spaniards. What are the top two attractions those visiting your agency from another country must see? Football and food. Luckily, right now Catalunya has more than 50 Michelin star restaurants and arguably the best soccer team in history. 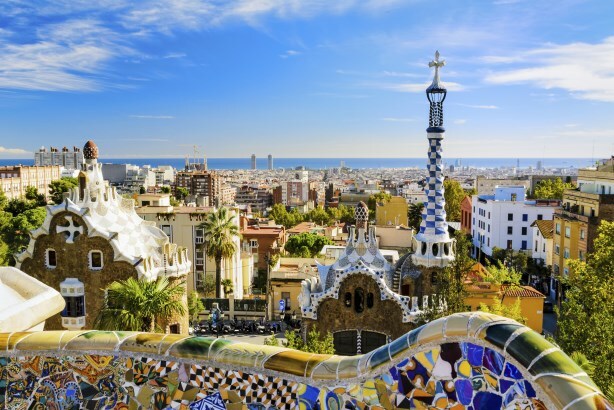 What fact about Barcelona will most people in the U.S. not know? Despite being home to a number of incredible museums, such as the Joan Miró Foundation and the Picasso, the most-visited museum in Barcelona, with more than 1.5 million visitors last year, is that of the soccer team FC Barcelona. As much as I love sports, that's slightly worrying. Which hotspots do you take clients to when they are in town? It's so easy to go out in Barcelona, you don't need much planning — you'll always encounter what you are looking for. But a pretty good night out would be watching Barcelona play at the 98,000-capacity Camp Nou, followed by some tapas at the legendary Cerveceria Catalana, and a couple of glasses of wine in the Gothic Quarter or by the beach in the Barceloneta neighborhood.